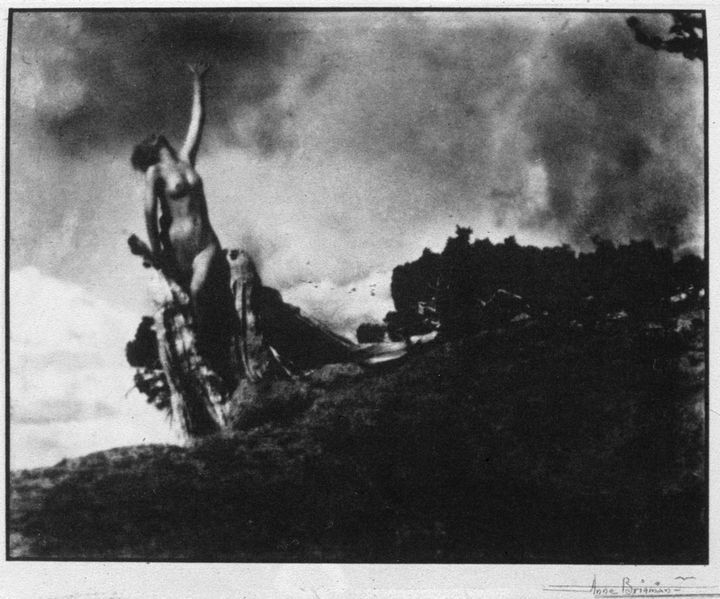 Anne Brigman's Soul of the Blasted Pine. What distinguishes early amateur photography from that found on Flickr? It is the ascendency of such trends that I find particularly intriguing. These trends, as discussed in this 2008 New York Times article, are characterized both by extensive pre- and post-production alterations. In the article, a blogger “conceded that intense postproduction processing is necessary for popularity on the site” (Hefferrnan 208). Some photographs, such as those by the member Merkley?? ?, are so heavily staged so as to resemble theatrical sets. Other popular members use High Dynamic Range Imaging (HDR), which merges multiple images to create a greater range of luminescences, resulting in exaggerated contrasts and colors. A trip through the 100 Club, a Flickr group for photos that have received more than 100 ‘favorites,’ also reveals the site’s preferred choice of subject matter: Flowers, peaceful landscapes, birds, and attractive women. Of course, other people define the range of users on Flickr in more derogatory terms: “ 1. The amateur fashion shooter. 2. The celebrity portraiture copycat. 3. The hipster snapshot diarist. 4. The stock image reject” (Soth 2007)” and so on. A more scientific method of examining ‘special’ Flickr member is utilized by Negoescu 2007, where an overview of these central users also confirms the primacy of the above stylistic characteristics. In other words, popular users have by-and-large co-opted digital methods to produce images that are seen as more natural, authentic, or individualistic. Given the above characteristics, I would be interested in researching whether or not the social space of Flickr has enabled the development of a worthwhile photographic vernacular. In particular, I am interested in the degree to which the emphasis on post-production indicates a conscious rejection of the digital camera as a generic technology. How is this different from the early manipulations of photographers such as Anne Brigman, who sought to treat photography as a painterly medium? 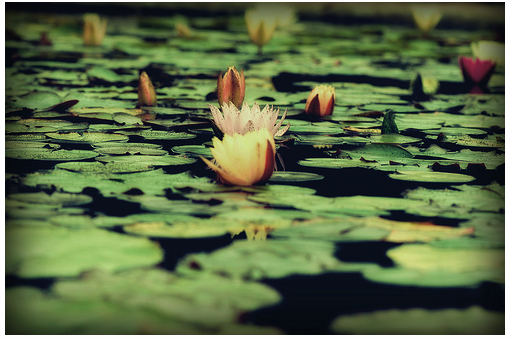 It may be that this manipulation along with a strong interest in subjects such as wildlife and landscapes represents a longing for the ‘natural,’ for an retreat into a more authentic and individualized artistic area within the digital realm. 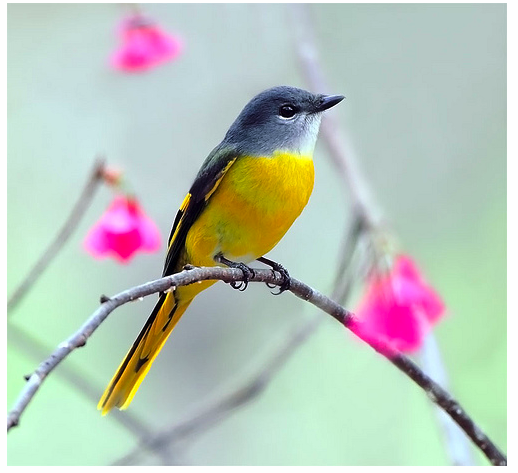 Just as Facebook can manifest a longing for social connectivity denied by day-to-day life, the popularity of certain Flickr images may manifest a biophilic longing for environmental beauty or simple unexpectedness that is sorely lacking from modern existence. On the other hand, it is also entirely possible that photographic popularity on Flickr is mediated by the junk-food mentality; motivated primarily by ease of consumption and commercial promptings, as argued by Cox 2007. Cox, Andrew M. “Fickr: What is new in Web 2.0?” Thesis. University of Sheffield, 2007. Sept. 2007. Web. Sept. 2009. <http://www.postgrad.ac.uk/content/1/c6/04/77/66/flickr%20paper.pdf>. Heffernan, Virginia. “Sepia No More.” New York Times. 27 Apr. 2008. Web. Sept. 2009. <http://www.nytimes.com/2008/04/27/magazine/27wwln-medium-t.html?pagewanted=1&_r=1>.